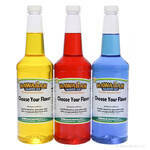 Hawaiian Shaved Ice loves to create tropical flavors for you to enjoy. 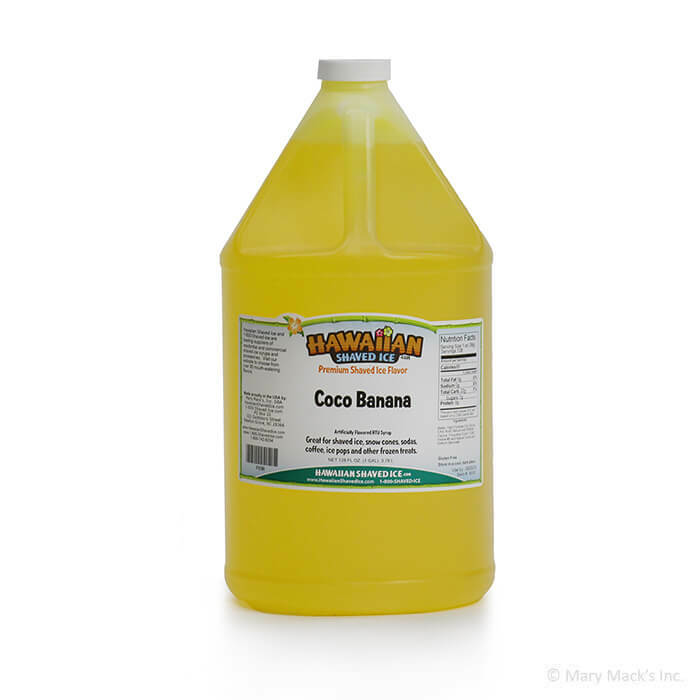 Coco-banana is another one of those delicious flavors that is sure to impress. It tastes exactly like coconuts and bananas, mixed together and served over ice! The sweet and tangy refreshment is perfect for parties with friends or hanging out with the family. It is hard to resist the tropical taste of coco-banana; everyone will love the fresh taste of this fruity treat! 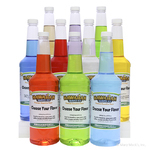 Have coco-banana flavored sno cones at your next get-together with friends and family. Enjoy and experience the fruit of the tropics together! Something this delicious should not be kept a secret. Purchase a gallon of this coco-banana flavor and create memories! 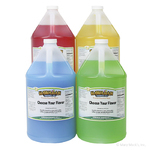 This yummy flavoring syrup is also available in the quart size, or can be combined in an assorted package so that you can enjoy it with more great Hawaiian Shaved Ice flavors.